Clean lines, chic hardware, and a rich finish give this chest of drawers a modern look for your master bedroom suite. The top drawer features a crossed design for an appealing accent. The top drawer is also lined in felt to protect delicate items from sliding and damage. All five drawers are created with 4-corner English Dovetailing for extra strength with lots of storage space. The brushed nickel finished hardware paired with the burnished cherry finish on this chest create the perfect timeless look for your bedroom. 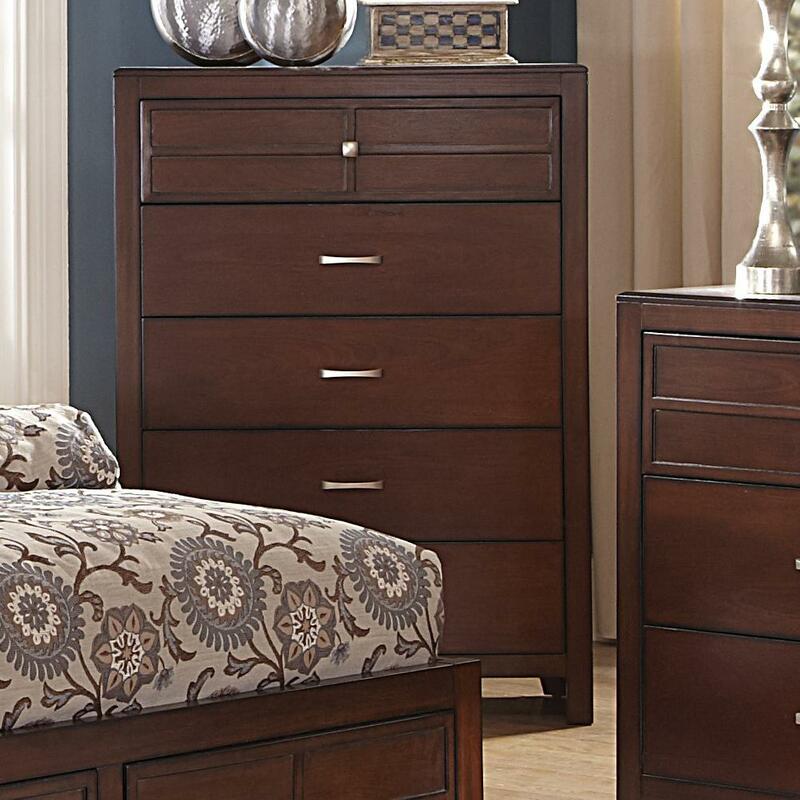 The Kensington Five-Drawer Bedroom Chest by New Classic at Michael's Furniture Warehouse in the San Fernando & Los Angeles area. Product availability may vary. Contact us for the most current availability on this product.